When Dave Letterman is remembered in the history of television, it will likely be for his unique comedic persona and his pivotal role in upsetting the rather rote late-night talk-show format. Few, however, would recognize Letterman as a patron of pop music. As is the case with “Saturday Night Live,” most viewers likely tuned into Letterman for the host’s amusing shtick and his at-times pushy banter with big-deal famosos. Musical performances, however, offered an easy way to fill a 5-minute segment and a welcome change of pace from the yakking. The fact that Letterman was so angst-y about playing the celebrity game — despite what he did for a living — meant that his show could at times appear more finicky about who showed up to play. While Letterman’s most famous musical accomplishment was likely getting Sonny Bono to sing with ex-wife Cher again, there are many more brilliant performances. 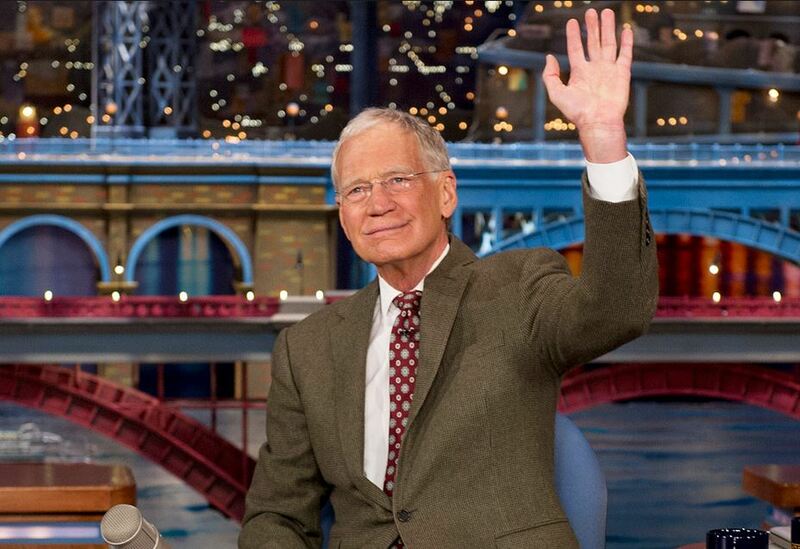 Over the course of his 33-year career as host of the “Late Night” franchise on NBC as well as “The Late Show” on CBS, Letterman gave many aspiring artists their network-television debut as well as a major exposure for some acts — typically lining up with Letterman’s own taste for oddball singer-songwriters — that mass-appeal programs normally overlook. The range of performers who graced his stage ran from Megadeth to Tom Waits to the White Stripes to X to Whitney Houston. Tags: " A Tribe Called Quest, "Late Show, Amy Winehouse, artists, At The Drive-In, Band Of Horses, Beastie Boys, Bob Dylan, Counting Crows, Dave Letterman, David Letterman, Father John Misty, Foo Fighters, Future Islands, James Brown, Late Night, Liam Finn, Living Colour, Marty Stuart, Motorhead, music, Musical, performances, R.E.M., Sinead O'Connor, The Black Keys, The Chieftains, The Strokes, TV On The Radio, U2, Van Morrison, Warren Zevon, Weezer. Bookmark the permalink.